It is currently peak persimmon season here in Perth and as my parents have a tree and the local farmers markets are practically giving them away, I have more than I know what to do with. So I have been getting creative with ways to use this delicious fruit, enjoying them with porridge and on toast but this was my first try at baking with them, and what a treat it was! The persimmon adds a subtle flavour and creates a moist crumb along with the banana. 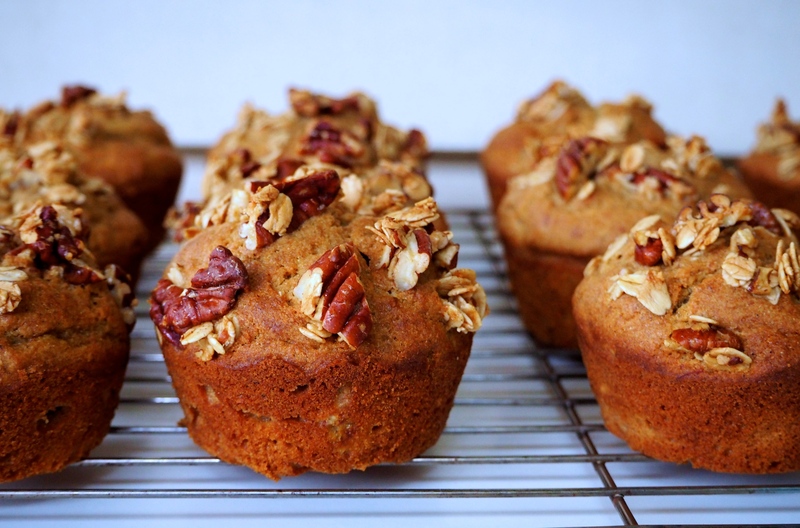 They are very wholesome muffins, I think one could even be grabbed as a quick breakfast snack if your short on time. 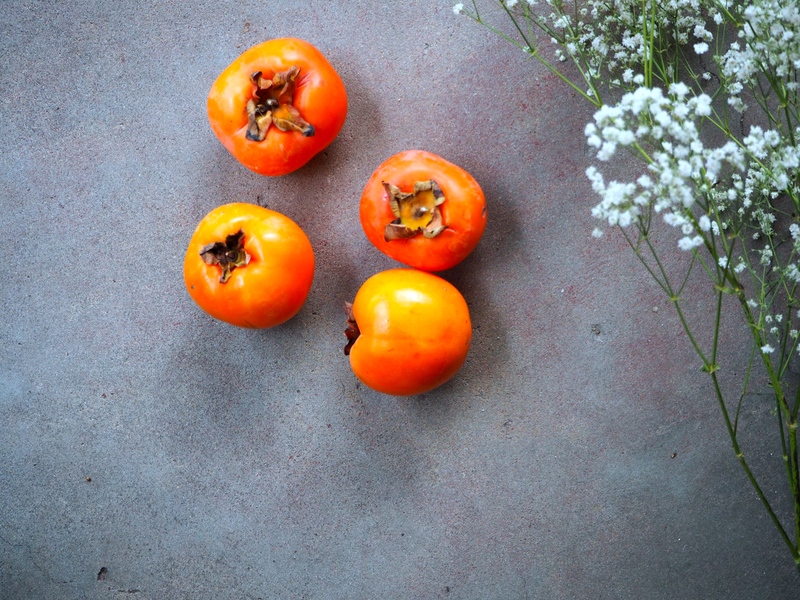 When choosing persimmons there are two varieties, astringent and non-astringent. I have used the astringent variety here as they have very soft, bright orange flesh when completely ripe. If this variety is not ripe the flesh will be quite firm and have an astringent texture in your mouth. Not pleasant at all, so make sure you choose a very ripe persimmon! The non-astringent variety could be used however the flesh is often a lot firmer so once peeled it would be easier to blend to a paste rather than mash. The pecan crumb adds a really lovely texture to the muffins and as they are so easy to make, its worth another minute for the crunchy crumb on top! Preheat the oven to 180 degrees celsius.Grease a 12 hole muffin tin with coconut oil. Combine the buckwheat flour, coconut sugar, baking powder, cinnamon and nutmeg in a bowl. In a separate bowl whisk together the bananas, vanilla, persimmon, eggs, yoghurt, oil and maple syrup. For the pecan crumb, simply combine all ingredients in a small bowl. Fold the wet ingredients into the dry until just combined. Spoon into muffin tins and top with a small spoonful of the crumble mix, pressing it lightly into the muffin mixture. Bake for 25-30 minutes, or until golden brown. 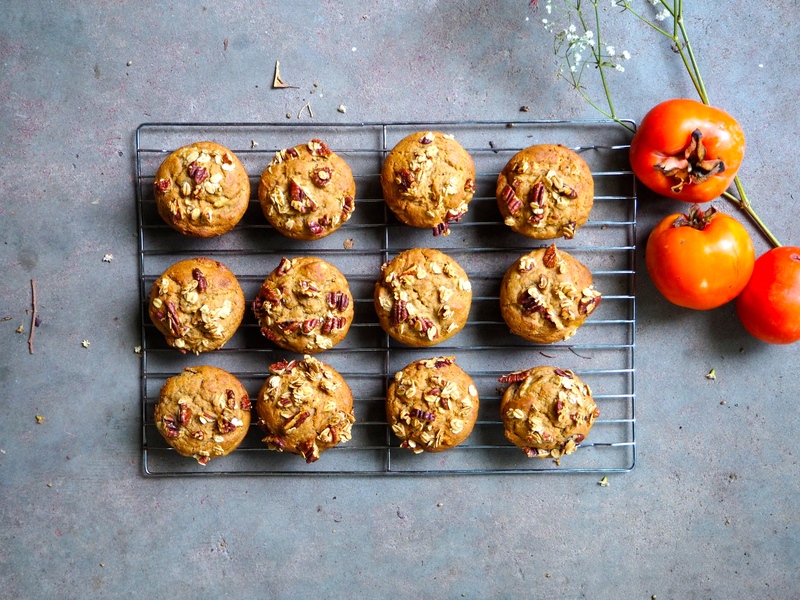 Gently tip the muffins out of the tin and serve warm or store in an airtight container for two to three days.